The Scenic Flight Company is a locally owned and operated company. 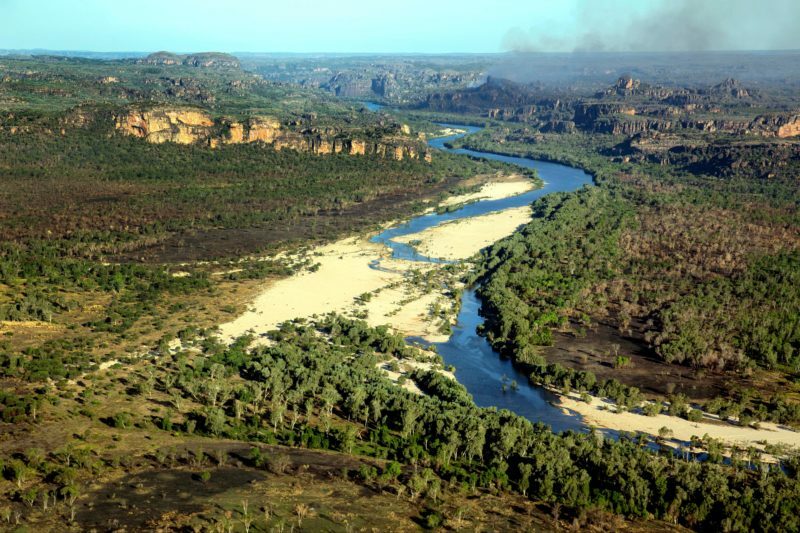 We live in Kakadu and love what we do. With over 12 years’ experience in aviation tourism, we strive to ensure that we exceed our customers expectations. We are focused on providing the very best in customer service. 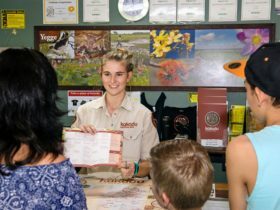 We want our guests to leave not only with the memory of a wonderful flight, but with a piece of Kakadu imprinted on their heart. As a Territory owned company, we offer our guests personal attention. Our management and staff oversee everything from reception and reservations to marketing and maintenance. 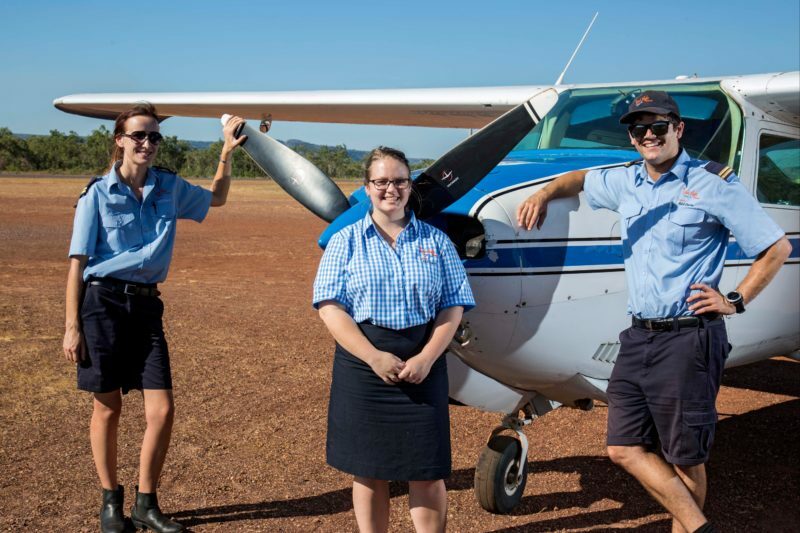 We are supported by a small team of friendly, experienced and professional pilots, The Scenic Flight Company is able to provide the ultimate Kakadu experience, as well as prompt, professional and reliable charter operations. Our business is fully licensed, fully insured and is approved by the Civil Aviation Safety Authority (CASA) who issue an Air Operators Certificate (AOC) to confirm our compliance. Our operations are also fully approved by the Mirarr clan – the Traditional Owners of Jabiru. 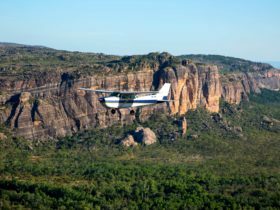 An extension of our 30min flight, with the bonus of also flying over the Dinosaur Valley and seeing more of the winding beauty that is the East Alligator River. There’s even a chance you’ll see a few crocs! 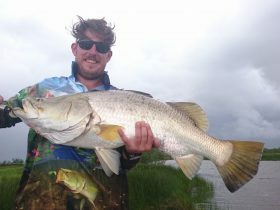 This longer flight also includes a lap around the world famous Crocodile Hotel, making it perfect for a larger view of Arnhemland and Kakadu National Park. 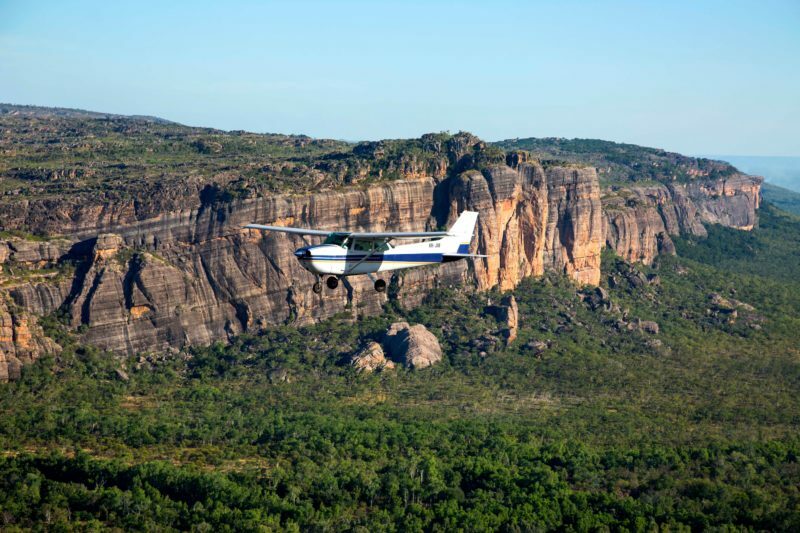 After take off, we fly you over the town of Jabiru and the world famous Crocodile Hotel. Following the Escarpment southwards, it’s off to see the inspiring sights of Jim Jim and Twin Falls in all of their glory. 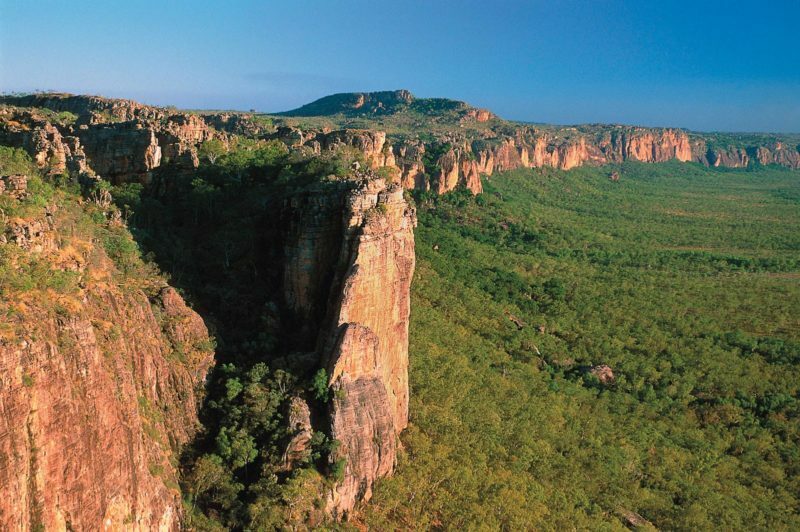 Returning over the top of the Stone Country, including Lightning Dreaming, we take in more impressive views of Kakadu National Park and Arnhemland before passing over the Ranger Uranium mine and landing back in Jabiru. See the amazing views of Kakadu from our popular Cessna aeroplanes which offer each passenger unobstructed views. 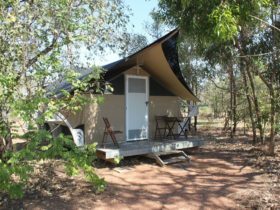 Witness the Archway, the East Alligator River and Minkinj Valley, as well as the Jabiluka Mine site and Mudginberri Outstation. Take in the impressive views of Magela Wetlands and the Ranger Uranium Mine before landing back at Jabiru Airport. 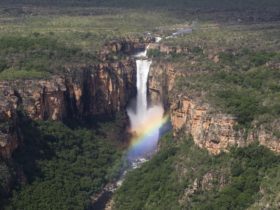 Take in all of the sights of our 30 and 60 minute flights, with the addition of a diversion to the South to see Lightning Dreaming, as well as the South Alligator River and Nourlangie regions. 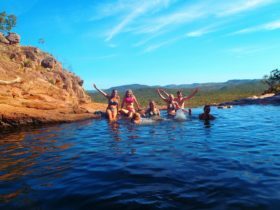 A great way to see more of Kakadu and Arnhemland in a short time.